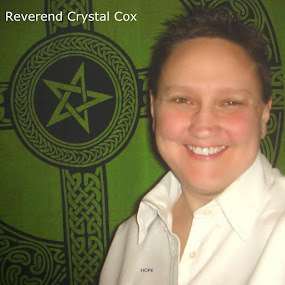 Reverend Crystal Cox, New Earth Ministry; Professional Psychic: Mandela Effect Explained, Mandela Effect Information: Want to Understand the Mandela Effect and what it means to your life? Mandela Effect Meaning. Mandela Effect Ascension. We have been through a Dimensional Shift, we are Ascending, we are consistently moving timelines based on our thoughts, belief and FOCUS. Mandela Effect Explained, Mandela Effect Information: Want to Understand the Mandela Effect and what it means to your life? Mandela Effect Meaning. Mandela Effect Ascension. We have been through a Dimensional Shift, we are Ascending, we are consistently moving timelines based on our thoughts, belief and FOCUS. First of all don’t get caught up in what others call “it”. Some call it the Mandela Effect, however, there are many things that have changed besides memories of Nelson Mandela. In fact for me that was not even one of the “effects”. There is so much discussion out there on who talked of the Mandela Effect first. Thing is it is not a brand folks, it is not about recognition or invention. This is about your life. It reveals as a miraculous phenomena whereby history has changed for you personally and others who remember things as you do. A supernatural event, however, this is our natural evolution as we raise our consciousness. You literally woke up with a different history. You awoke one day somewhere along the way, and things were different. Big huge things such as Bible Scripture, your Anatomy, Geography, where we are located in the Universe and so much more. It is truly phenomenal. Many are or have been frightened by these events in their life. Many have tried to tell family, friends or those around them and are deemed crazy, and people even get very angry at those who talk of remembering Reality different. It scares them, hence the anger. You don’t have to tell anyone. Find support elsewhere if you need it. Understand that you have moved timelines. You are awakened, have Faith in it’s higher purpose and don’t be around those in fear or those who do not doubt your reality. You don’t need anyone else’s approval and you don’t need others to validate what you know is true for you. Many have experienced this “Effect” for decades. It is not new and it is NOT ABOUT any particular person that said it or allegedly noticed it first. It is ONLY about YOU, your personal perception, consciousness, experience. You know your Truth and no one else has to and if people leave your life then let them, be True to You as this Creates Timelines, Worlds and quite literally the “Reality” you live in, you perceive as “Your Life”. Many sources, people, channels, practitioners have spoke of parallel realities, different dimensions, and all aspects of what many call the Mandela Effect for as long as I can remember and I am sure long before that. Many practitioners assisted people in moving into our light body, and in preparing to move into higher dimensions. This has been happening for decades, probably centuries. It is not new and it is not about any one particular person. Don’t focus on this nor engage with others who engage in energy of who “invented” “the Mandela Effect”. FOCUS on the REALITY you want. I have studied this reality change, this parallel shift, and our waking up with a new history, our walking the same paths for centuries and one day artifacts will appear, reality changing and what many call the Mandela Effect. Kryon spoke of this for over 25 years through Lee Carol. Barbara Marciniak channeled this stuff from the Pleiadians. Jane Roberts channelled Seth. Parallel Realities has been discussed in channelled information and power of thoughts informations for a VERY long time. This is how it has all manifested. I did not expect this to happen in such a physical way, such as waking up in a different version of me, a different Earth, a completely different place. I did not expect to literally wake up conscious in a new reality. I thought my body would change, I would ascend, I would awaken to a new Earth, however, not in this body, not in life the same or similar around me, such as the same type of Government, music, brands, places, events and such. I did not take this literally as to actually wake up one day in bed and be in that version of me. Like waking up in an alien body, and alien world. Except it resembles the other world and my body looks the same mostly on the outside. Even if I am told that the heart, the kidney, and other “parts” are in a different location under my skin and that my skull is different and well I can see a dark ring around the color of my eye that I know was not there my ENTIRE Life as I knew my life to be. Still I “mostly” look the same. When you see what many call the Mandela Effect, and begin to grasp what it is and really means to your life, it can be quite stressful. Knowledge and Trusting yourself helps with this. Yes you may “lose” friends and family, so what. If they are meant to be in your life, it will feel good, fun, high energy having them there, if not then let them go. So many cling to people, thing is there is no Death folks, and we don’t lose people per say. So let go. We really can choose to not be around energy that does not feel good to be around and in that we put ourselves in a place of our highest vibration and attract to us what we really do want in our life. A Dimensional Shift has occurred and we are now existing on a brand new timeline, a New version of us, of our life. It is fantastic, don’t fear it, and don’t need to convince others, simply find peace with it, have Faith in it and bring into focus the life you want by what your thoughts are, what your mind focuses on. Your FOCUS Creates the World, the Version of Life that you Draw to You. I ADVISE you to Listen to YOU. Don’t listen to any information that brings up fear in you, NONE, from no person, no source, no video, no book, NO INFORMATION that brings up fear in you. If the information you read or watch is not Love based, positive or proactive toward a higher happier existence, then I advise you to NOT focus on it, not listen to it, it is simply not right for those who want to live a high vibration life. Information talking of CERN in a fear based way, or Demons or Devil or anything that is not of high vibration, well that is not information that creates a high frequency, joyous, fun, happy, high dimensional reality. You ARE a Creator GOD. Anyone that disempowers you and talks of you not creating your own life, and gives you information that suggest you don’t have power over our life or some demon is tempting you, well that is not information that is of the highest and best for YOU.